The symptoms of heart attack or myocardial infraction are not very intense and obvious, as someone suddenly experience chest pain. 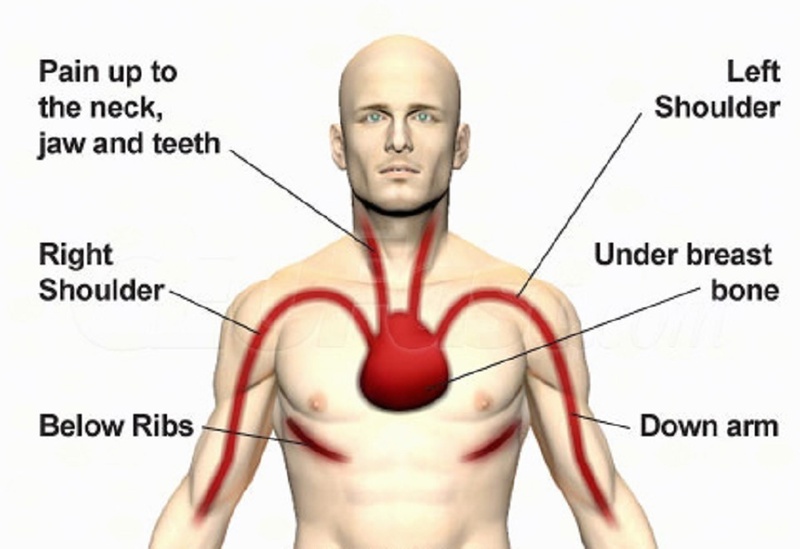 Here we have listed some common symptoms of heart attack in men under age of 40. The sudden blockage in the arteries supplying blood or oxygen to the heart, the heart muscles experience injury. The consequences of this injury can be felt in the form of pressure on the heart, and hence chest pain is observed. If this process is not reversed in 20 minutes, then death of heart muscles is triggered. The prevailing condition can be fatal or it may results in sever injury to the heart muscles. It is now medically proved, that men are more prone to heart attack then women and due to exhausted life styles men under 40 are also at risk equally. Due to changing conditions and life style, even men over 20 years of age are no doubt at the same risk of developing a heart attack as older men. According to one statistical survey almost 10% of the heart attacks diagnosed are found in men under 40 years of age. But, unlike older people the young individuals are unable to recognize the symptoms of heart attack. So, it is very important to identify some common symptoms which are related to the heart attack irrespective of their cause. Severe pain suddenly oozing out from the chest region commonly said as angina. The chest pain can be felt as pressure on chest, tight ache, or suddenly feeling of heaviness in chest region. The pain in the upper body is also associated with heart attack. This pain can be easily felt in shoulders, arms, jaw, back, teeth and also in neck region. Severe heart burn, although it is related with other common problems such as abdominal problems, but it can’t be ignore as it may be related to the heart attack as well. A sudden shortening of breath, it may lead to chest discomfort as well, the patient usually suffer from unfathomable breathing. Severe headache and anxiety along with light-headedness are prominent symptoms of heart attack in men under 40 years of age. Nausea and sweating with cold skin which may be due to lowering of blood pressure. Vomiting as it is not directly associated with heart attack in men, but can’t be ignored. All these symptoms may vary depending on the conditions and health of the individual experiencing heart attack.